It is a decade already since Apple's iPhone first launched all over the world. And over these past 10 years, iPhone has become one of the most popular in households. But very few people know the extent of exactly what iPhones are capable of, especially Apple’s amazing virtual assistant, Siri. 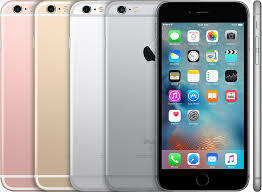 According to the Mirror in the United Kingdom, the equipment has a range of features, from various uses of Siri to ways of maintaining the phone’s battery. We have put together a list of 10 things you may be missing and how to enable the features. Press ‘Settings’, head to ‘Privacy’, ‘Location Services’, ‘System Services’, then scroll to the bottom and select ‘Frequent locations’. Using iOS 9, you can ask Siri to filter photos by date or location. For example, you can say, “Show me photos from 2013 taken in Spain” and it will take you straight to the photos. If you are running low on juice and just need your phone’s basic features, head to ‘Settings’, ‘General’, ‘Accessibility’ and click ‘Grayscale’. Instead of holding down the home button to launch Siri, just enable ‘Hey Siri’. From there you can then use Apple’s assistant to read and reply to messages. Head over to ‘Settings: Battery’, and this will tell you which apps are occupying the most battery power. Siri is capable of reading articles, books, text and more. Just go to ‘Settings’, ‘General’, ‘Accessibility’, ‘Speech’ and turn on speak screen and speak selection. Set up a Medical ID in the Health app and you can access medical info without having to unlock your phone, just tap Emergency and you will see the Medical ID button.